These powerful words, spoken by Nelson Mandela in his inaugural address as the new president of South Africa, are taken from just one of the forty important and thought-provoking speeches in this collection. Ranging from 1945 to the present day, they provide an important insight into the modern world. 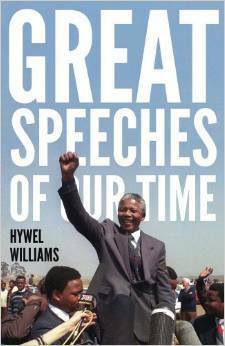 Inspirational speeches by Winston Churchill, Mikhail Gorbachev, Martin Luther King, Barack Obama and many others are supplemented with biographies of each speaker, as well an exploration of their words' significance and an historical account of the consequences of their oratory.